The Southwold fish market building was constructed as part of the Corporation's major initiative to redevelop the harbour, enabling Southwold to compete as a leading herring port. 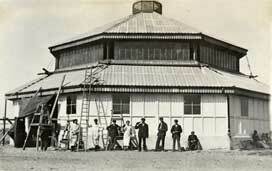 The new harbour works and market hall (affectionately known as the 'Kipperdrome') were complete in 1907-8. 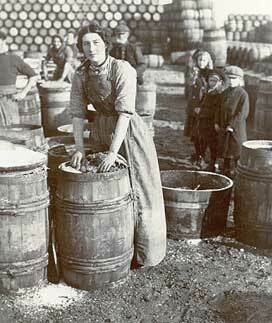 By the1908-9 herring season, about 300 drifters were landing catches at the harbour and teams of itinerant Scottish fish girls were employed to gut, salt and pack them in barrels ready for sale. 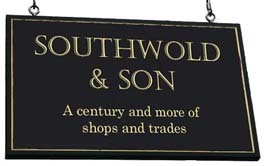 Southwold's herring boom lasted only about six years and was over by the start of World War I. 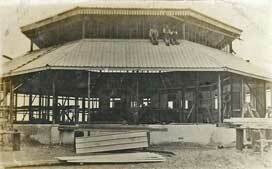 Opening of new Fish Market building. 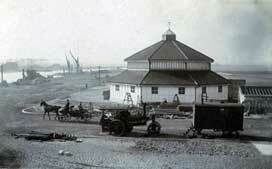 Southwold Fish Market under construction in about 1907 . Reproduced from a postcard in the late Robert Palmer collection, by kind permission of Margaret Palmer. Fish packing, Southwold Harbour in about 1908.